Add some sparkle to someone special's day with this delicious hamper of Pichot Vouvray Brut complete with crystal flutes to enjoy it from and some chocolate coated macadamias. 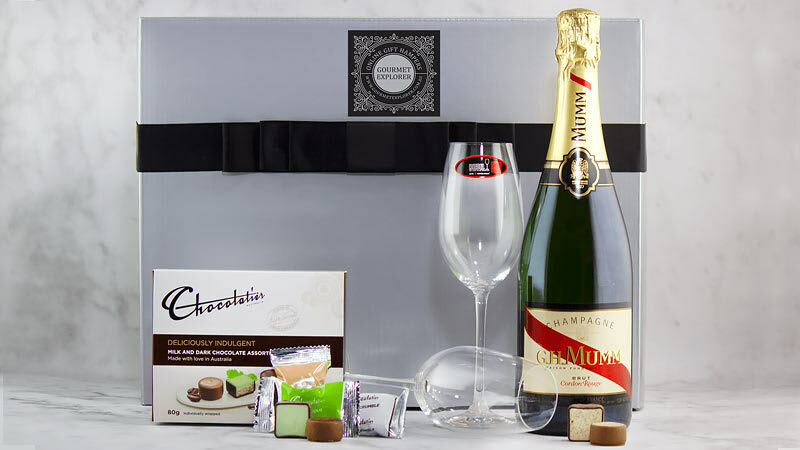 Add some sparkle to someone special's day with this delicious hamper of Brut complete with crystal flutes to enjoy it from and some chocolate coated macadamias to add the final touch. This hamper makes a wonderful gift for Valentine's, Weddings, Anniversaries or any occasion that requires a little sparkle!